Now anyone can enjoy the flavour of freshly picked, home-grown carrots. No digging required. 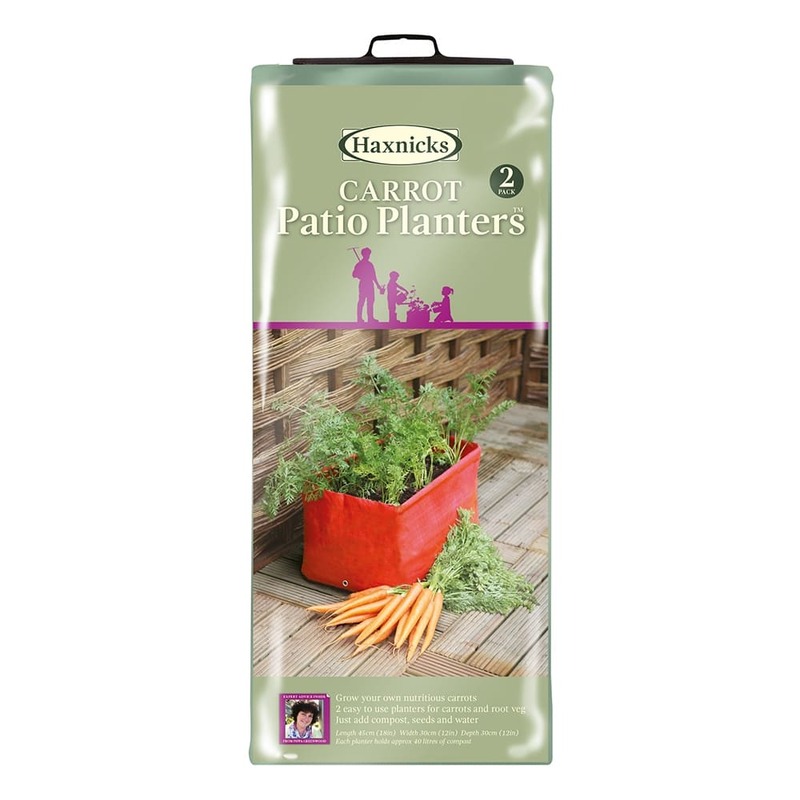 Haxnicks Carrot Patio Planter is designed specifically for use on patios and balconies, or in small gardens. Length: 45cm (1ft 5") Width: 30cm (1ft) Height 30cm (1ft). The carrot-coloured planters have sufficient depth to allow carrots to develop to a good size. 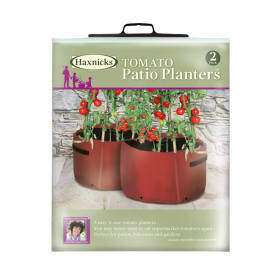 The planters are reinforced with rigid tubes, have drainage holes,and fold flat for storage. 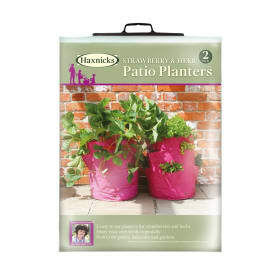 Each pack of 2 planters comes with a helpful growing guide. 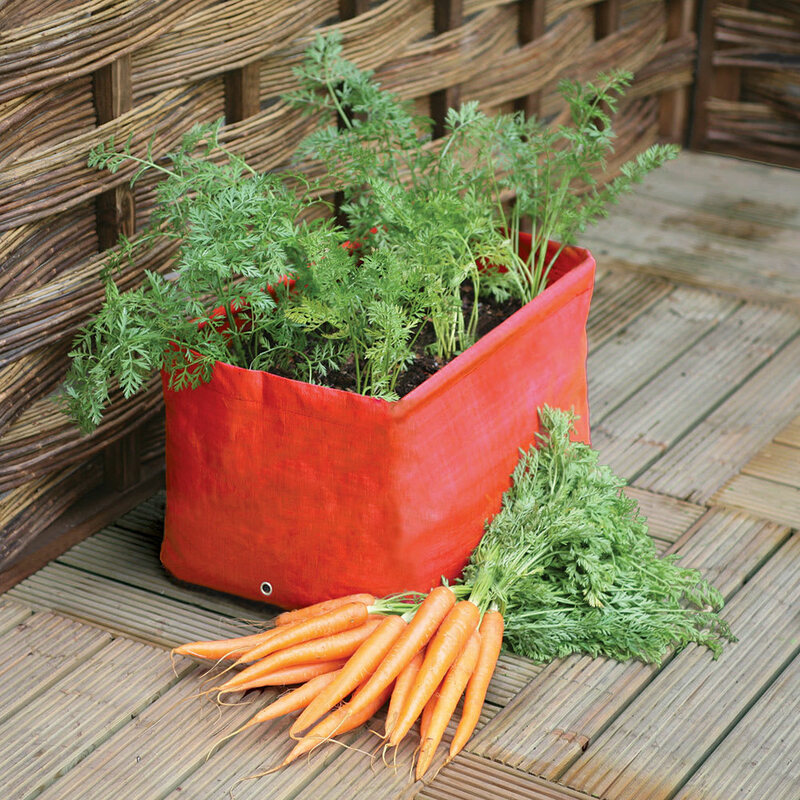 Growing carrots has never been easier! Helpful Haxnicks hint: if you want to go organic, simply use organic compost and seed. 1. Place a thin layer of gravel, or other suitable material into the bottom of the planter to help drainage. 2. 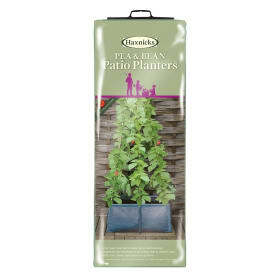 Fill with good quality multi-purpose compost to approximately 4 cm (1½ins) height from the top of the planter. 3. Sow the carrot seeds directly into the compost following the instructions on the seed packet, and remember to thin out seedlings when they are large enough to handle. 4. Carefully water after sowing without soaking the compost. 5. Water regularly and do not allow the compost to dry out. 6. Feed regularly from mid-summer with a good liquid feed or use a slow release fertiliser following manufacturer’s instructions. 1. 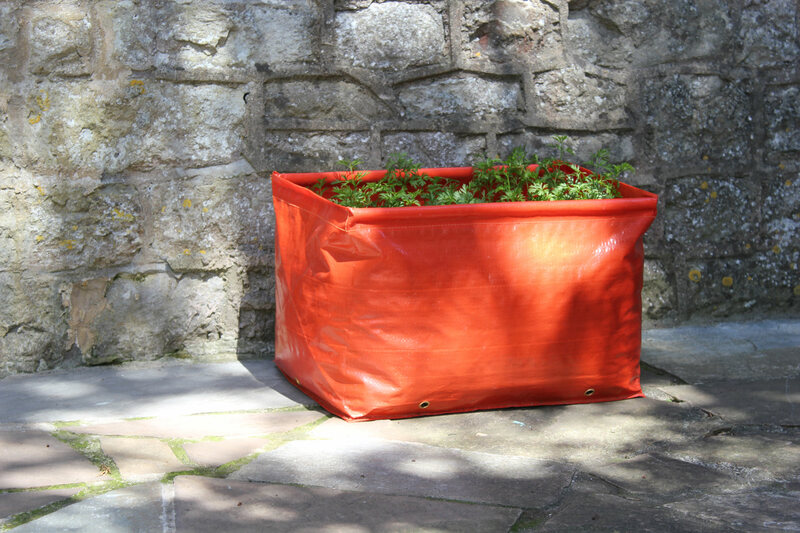 Approximately 80 litres (40 litres for each planter) of high quality multi-purpose compost. Compost specially formulated for containers will help keep the compost moist. 3. Suitable liquid or soluble feed for vegetables.